Why the Video CV will take over the world! Letters became emails; exchanging numbers became exchanging names for Facebook and Twitter, so why would hard copies of written CV’s not become virtual in the form of Videos? Given that social media becoming a big part of our everyday life employers and recruiters are turning to the likes of Facebook, Twitter and LinkedIn for promoting their businesses, video CV’s are the perfect medium for presenting ourselves to ever growing visual society. We often hear the phrase ‘he/she looks good on paper’ with Video CV’s, employers can take recruiting to the next level and get more of a feel for a person’s personality, and engage by a candidate’s video whether they are the right type of person for the job before inviting them for an interview. 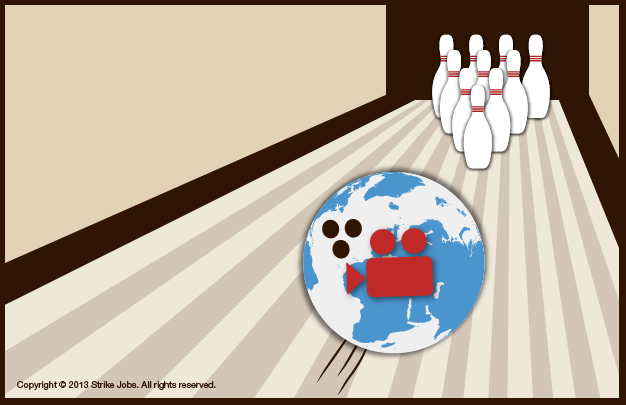 Video CV’s are a creative and inventive way of standing out from the crowd. By presenting oneself in a less conventional way, a candidate can remove themselves from the ever growing pile of CV’s siting on a desk waiting to be sorted through. One of the most famous examples of video CV success was probably that of Graeme Anthony. Graeme moved to London from Manchester in search of pursuing his dream in PR, and needed to do so quickly. After he posted his CVIV (Curriculum Vitae Interactive Video) on YouTube Graeme quickly received a response from Frank PR. When Chairman of Frank PR, Graham Goodkind saw Graeme’s CVIV he expressed his astonishment that this form of CV had not appeared on his desk sooner and insisted on meeting Graeme straight away. Graeme consequently landed a position with the company and all thanks to his innovative way of presenting himself. Professionalism – Most importantly, do not forget your video is aimed at prospective employers. Dress as if you were going to an interview, act professionally, and eye contact is still necessary and you must speak slow and clear. If everything is not perfect, redo the video until it is. Quality – Make sure your equipment is of good quality. Employers want to be able to see and hear you well as without good visual and audio aspects, the video CV loses its purpose. Content – Quality not Quantity. The content of your video CV must be of relevance and your video should not be longer than a few minutes. The video needs to keep the attention of the employer and touch on everything of relevance to the job, sell yourself as this is your chance! This entry was posted in General Posts and tagged career advice, career tools, online interviews, technological changes, video cv, video interviewing, video interviews, video resumes. Bookmark the permalink.